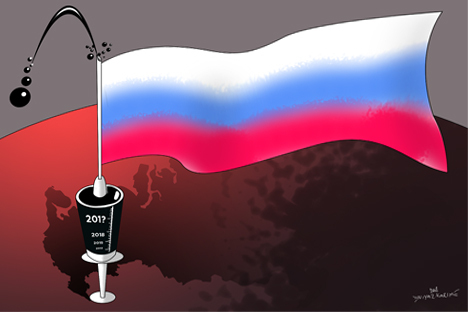 Russia's former Finance Minister Alexei Kudrin explains why injections of money into mega modernisation projects are not enough, and how the country can change its business climate and motivate the entrepreneurial class. Our economic policy desperately needs simplicity and predictability. The paradox is that this is good news, however dull it might sound. The previous economic model, based on the proceeds from hydrocarbon exports and a 20–40 percent annual growth in public spending, has not been able to ensure the necessary rate of growth. At the same time, all attempts to spur growth with injections of public money have been stymied by the low efficiency of those expenditures. The national projects and modernization programs for healthcare and other sectors have yielded little in the way of substance. A desired new model should not envision continued stimulus of demand by all kinds of “creative” means. Instead, it should entail trivial tasks like improving the competitiveness and the quality of work and services; increasing the effectiveness of capital expenditures driven by a reduction of risks inherent in Russia’s economy; and reducing interest rates by reigning in inflation. We do not have to rush. We have to actually reduce risks and improve the appeal of Russia’s economy, step-by-step. A basic yet mandatory principle of economic policy (economic, not budgetary policy) is that growth in spending should not outpace growth in revenues in real terms. Last year, however, revenue rose 3.5 percent compared to the pre-crisis year of 2008, while spending increased 27 percent. The business community — including investment banks — views such an imbalance as inevitably leading to swelling debt or rising taxes. Once oil prices decline over the medium term, the logic behind the budget rule introduced by the government will become apparent. However, the recent talk about revising it is undermining the confidence of the business community, which supported its enactment. Some of the biggest concerns that investment bankers have include a softening of the monetary and credit policy, a revision of the [budget] rule and falling short of inflation targets. At the same time, in its forecast through 2030 (as part of the “innovative” and “forced” scenarios), the government has assumed a substantial softening of its monetary and credit policy and an increase in public spending, as well as an increase in international reserves, which rules out inflation targeting. So, in fact, the government has signed off on a forecast predicting a repeal of the targeting policy, although this falls within the purview of the Central Bank. What this essentially means is that the policy has not been set, forcing businesses to build the relevant risks into their planning. The business climate is not limited to the economy. Legislative restrictions on social and political life are making the active entrepreneurial class feel like a throwback to the worst of the Soviet era. The situation with NGOs is perceived as the suppression of civil society. Yet this is exactly the category of people we are counting on for investment and innovation — modernization should have allies among the active class. If we must transition to a different model, the transition must me organized. A change in policy must be thoroughly planned. Moreover, since this work is not just for show, but to achieve a quality outcome, someone must be held accountable for this quality. A critical mass of government officials concerned with something more than their own bureaucratic survival must emerge — and this is far from a trivial task. Alexei Kudrin is the chairman of the Committee for Civil Initiatives.